First off, I have to say that I’m super excited that it’s almost time for Blaugust! What is Blaugust, you ask? It’s a challenge to blog each day during August. Belghast started it a few years ago, and continues the tradition this year, as well. He wrote a splendiferous guide on how it’s going to work next month, and I encourage all current Bloggers to join in! I will totally be participating! As for those just starting out blogging, it might be a bit of a challenge as you’re beginning and sussing out your format. However, it’s still a great way to get into the community now, and find out more about your blogging style with some help! And even if you don’t hit the thirty one posts the challenge presents, it’s still a great way to meet new folks, and learn more about those you already follow. Last night, Chaide and I had time to hop into Final Fantasy! 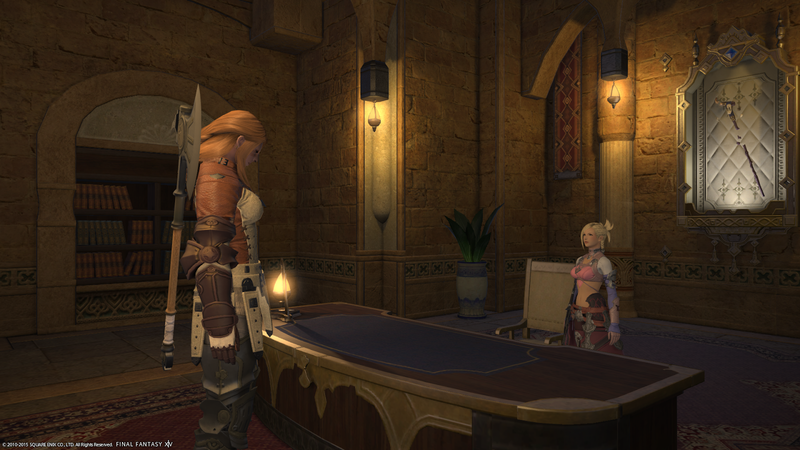 We logged in over on Cactuar because he didn’t make a character in the AM over on Lamia for us to play some with Tal. But that’s okay, because I want to level on both servers. 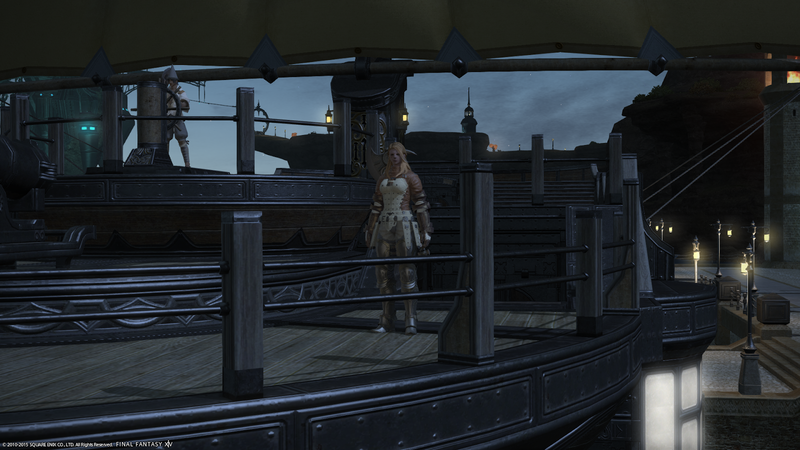 I enjoy both groups of people I play with in FFXIV, and both characters I’m playing. Though eventually they’ll both be able to do everything, but that’s some ways down the road for now. We started off the night by talking to Ursandel, as we just took care of his mistress, last time we played. (Yeah, it’s been a while!) While his “I messed up, I repent, I’m turning myself in” thing was a little redundant, it wasn’t as bad as the previous ones. I think this is due to the fact that the story was presented differently, and that he seems to be a little more world-weary than the two hotheaded youngun’s we ran across earlier. 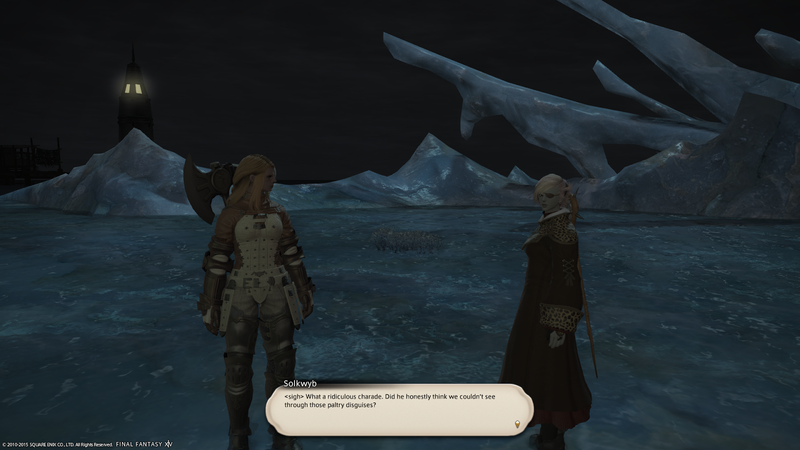 It was then off to Minfilia to let her know about our progress with Lahabrea. I was enjoying the story, and looking forward to picking up the next quest… but that required Level 30. And we’re only 29. Well… crap. 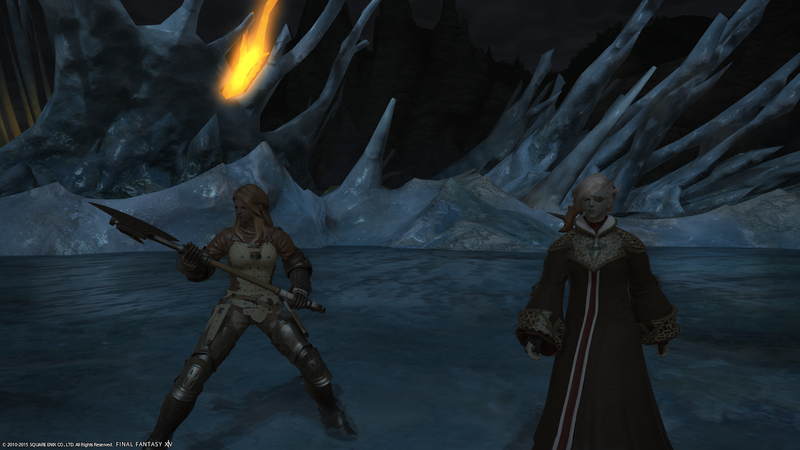 So we went over to Lamia to pick up our Level 25 class quests we never did. That’ll get us to 30! There’s always lots of things to kill! I found the Marauder quest highly amusing. What with that “Familiar Marauder” and all. I kept chuckling the entire time. And for those that didn’t get it, Solkwyb plainly stated that subtlety isn’t a Marauder’s strong point, and that I should probably keep it to myself that I knew it was Wyrnzoen. So now we’re stuck at level 29 and aggravated that we can’t get to 30 with just the story. And we’re starting to wonder if we’re playing the game wrong. We’ve been focusing mainly on the story and running a dungeon here and there, and hitting up FATEs as we find them, and filling in a bit of our hunting logs here and there as we see mobs. But we don’t feel like we’re doing it right. Our gear is still mainly a bunch of Level 15 stuff (and these are our main/only classes), and we’re stuck in what we can do for the Main Story. This topic comes up rather often and it's actually really easily alleviated with one aspect of the game: Challenge log. Make sure you've unlocked it. (http://ffxiv.consolegameswiki.com/wiki/Rising_to_the_Challenge) Basically, it is a set of weekly goals that will incentivize you to do varying pieces of content. 3 roulettes, 5 leves, some guildhests, etc. If you complete those, you get a nice little bump of xp along with the xp you got getting to that point. Roulettes are important for this too. Dont forget you get a bonus for doing 1 per day! Between those two aspects and a few sidequests, the levels will come rolling in. Promise! Dont get discouraged. And don't forget there isnt a 'wrong' or 'right' way to play this game. I know the excitement of those jobs is tantalizing, but don't stress too much on the goal and enjoy the journey there! If you don't have them kept up to date, do your class hunt logs. They are worth a fair bit of XP and mostly just require travelling. On evenings when you do have time, do low level dungeon roulette. The dungeons themselves are worth lots of XP, and the roulette bonus is a huge amount of XP (and seals, which will be useful later). If one if you is a tank or healer, you will have a very short wait, too. Of course do your guildhest roulette. That is fast XP/seals. If your gear is that far behind your level, you may want to hit the market board and see if you can find some reasonably priced stuff to help you catch up. People in guild might be able to craft some proper level stuff too. That gear disparity is probably why you found the FATEs hard. All the answers here are good. 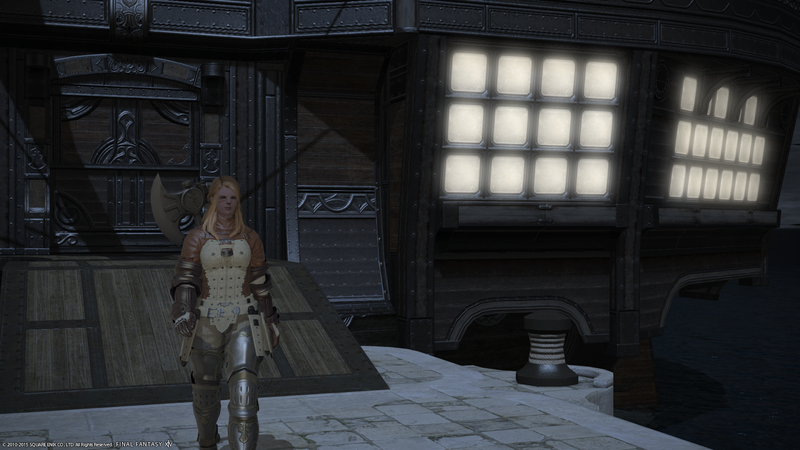 Finish up class hunts, hit FATES, run leves, or do a few quests. Challenge log is a big help and actually points you to different activities to complete each week for bonus experience and a good bit of gil! As noted — Challenge Log! Okay, I actually generally don't do 20 leves unless I'm focused on leveling a job quickly, and sometimes I forget to run around to enough places to do 5 fates around the world (though it generally takes less than half an hour if I do chase it down — fates are always up and generally easily soloable, after all). For gearing, I found that between running a dungeon a day (that 1st time daily bonus is HUGE — half a level or more up to about 30, then about 1/3 of a level up to 50. And I just got 270K with my level 55 SMN last night out of a need 1.5 million, so still about 15%) and getting dungeon drops then filling holes with GC seals at the quartermaster kept me in pretty good stead. Maybe occasional visits to the market board, since the high-quality white-border gear is still perfectly acceptable and usually not terribly expensive. My gear level average was usually 2-4 levels below my actual level though, since the jewelry items only seem to upgrade once per 10 levels, so they're drag the average down until they'd upgrade and then boost it.